At the start of the year, I detailed the case of John Pearson. John was sacked by Hewlett Packard for sharing information passed to him in his capacity as an elected union official with the members he was elected to represent, and then refused support from the union and tried to claim that he had brought his situation on himself. Since then, John paid his own legal fees to take the case to an Employment Tribunal. In a damning indictment of the PCS decision, he won his case. The tribunal ruled that he was unfairly dismissed for carrying out his union duties, and that the information he shared could not reasonably have been assumed to have been in confidence. However, rather than admit that it was wrong and offer support for John in retrospect, the union dug in its heels. 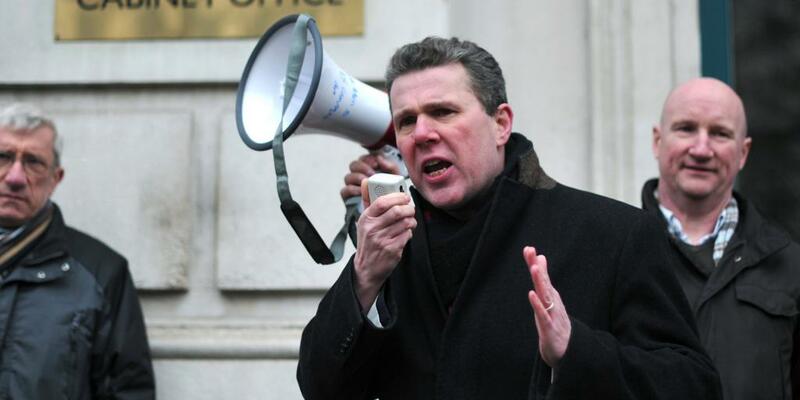 Even after an open letter to General Secretary Mark Serwotka that received a huge amout of signatures and publicity, the union leadership's response was to repeat a number of false assertions and insist that it was right to refuse John support. Most offensively, the union robustly defended its record in supporting victimised union reps - to a victimised union rep whom they had denied support! John's case is contrasted with that of Sofia Azam, at Ofqual (The Office of Qualifications and Examinations Regulation). Like John, she was victimised for sharing industrial relations information with the trade union members who had every right to see it, and ultimately lost her job. Unlike John, she was supported to the hilt by PCS - and lost her case! In both cases, PCS full time officials advised the reps to fight the case on the grounds that they had mistakenly circulated the material and were sorry for it. John was pilloried and left in the cold for refusing this advice, but was proven right in fighting his case on the grounds of automatic unfair treatment for carrying out legitimate trade union duties. Sofia followed the advice and PCS first lost her case and are now refusing to support an appeal. In itself, this case should be worrying. If a trade union is not performing the most basic function of providing principled and effective support for its reps when they are attacked by the bosses, then what is it for? It is doubly concerning given that PCS in HM Revenue & Customs is currently under attack. Leaked documents have revealed a union busting strategy adopted by directors to sideline the union and disrupt its organising capability. But if the cases of John and Sofia are the benchmark of support reps can expect, how many will be discouraged from putting their heads above the parapet to fight back. Unfortunately, as former PCS activist Jon Bigger has detailed, the leadership is less concerned with a position of principle than with its own grip on power. The sentiment that raising John's case amounts to an "attack" on PCS has been voiced more than once, and it smacks of the worst kind of desperation. A difference of an opinion within our own ranks is not an attack on the union. An employer victimising a rep for carrying out their duties is always an attack on us all. That is why this issue will not die down or fade away, no matter how much the leadership might wish it. As long as there is even the slightest doubt as to whether union reps will receive full, automatic and principled support from our union if we are victimised by the bosses, this storm will rage on. An injury to one is an injury to all - no exceptions! If you are in London tomorrow, please get to the lobby and show John and Sofia your solidarity.